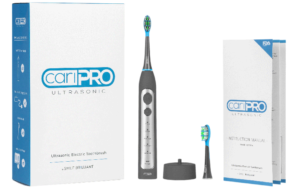 i’ve heard electric toothbrushes do a better job of cleaning, so i’d like to win this for my dental health. i might give it to my son who needs help brushing. My dentist says they do a better job cleaning too!